And that's just work messages. I didn't dare try to count the number of these sentiment substitutes in my personal e-mails and Facebook messages. Clearly I need a "Remoticon 2.0" -- the excessively empathetic cartoon robot who "emotes so you don't have to." Remoticon was created by illustrator Eric S. MacDicken for his most recent "Office Opossums" animation (sound editing by yours truly). Hope this leaves you smiling. "The Earth is beautiful and I just want to share the pictures. I'm not the best photographer. There are a lot of people who take a better picture." 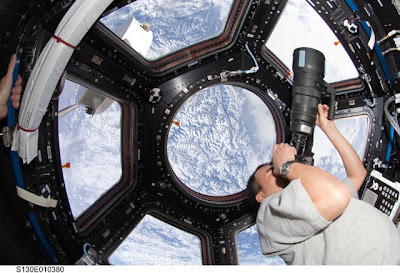 -- Japanese astronaut Soichi Noguchi, shown above snapping photos from a newly installed observation module on the International Space Station. During a 23-week stay on the space station, Noguchi used a recently activated onboard Internet link to share hundreds of dazzling photos via Twitter and its photo-focused offshoot, Twitpic. Noguchi and two crewmates returned home early today (late Tuesday, Eastern time), landing safely in Kazakhstan in a Russian-made Soyuz space capsule. Now that their 163-day mission is over, I will certainly miss the almost daily stream of pictures Noguchi shared with his 250,000 online followers. 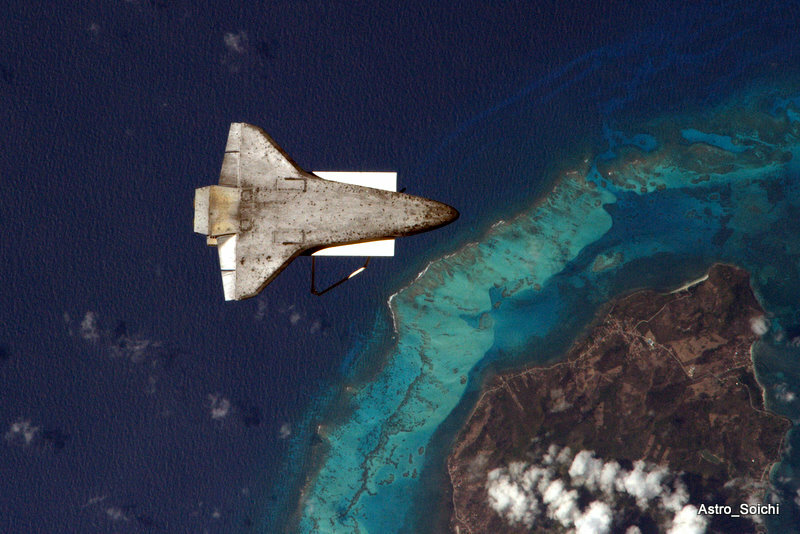 How will art historians of the future look back on the first five decades of Earth photos taken by astronauts such as Noguchi? Will the Japanese engineer's Twitpics someday be hung in museums and studied like the work of 19th century American landscape painters? Perhaps, if those images end up changing the way we look at our world, just as paintings by artists such as Thomas Cole defined how Americans of his day looked at the vast, beautiful spaces they too were settling. "It is not easy to see how the more extreme forms of nationalism can long survive when men have seen the Earth in its true perspective as a single small globe against the stars."